YES! The PC desperately needs more JRPGs. Its the perfect platform for them so I welcome as many quality JRPGs to the PC as possible. I was so damn happy when I saw this on their twitter and all the fan speculation that pointed to LoH. So glad the wait is almost over, and it's wonderful that both chapters 1 and 2 are heading to steam as well. I'll gladly buy both off steam just for support, because XSEED has been one of those great publishers that have yet to really disappoint. With this news and Ys: Celeceta collectors edition, I am just throwing money at them :D I'll be playing Second chapter on my Vita primarily of course, though it's a SLIGHT shame that this is the PSP version of the game and not the PS3 remaster...no biggie though. Now for Zero no Kiseki... One can dream right? I do hope this possible new-found partnership with Carpe Fulgur means that maybe they can localize their games on a quicker and more consistent basis. For the longest time, they essentially had like two people to do localizing for Legend of heroes....but now they got a whole team. The picture makes me think of Skies of Arcadia. Loved that game and this one looks very interesting. I've waited so damn long for the next game to come out! 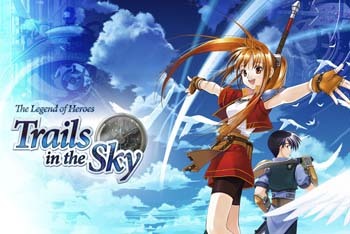 Would love if this came to Wii U since it could use more JRPG's and is the perfect platform for that genre. That and the 360 just to be fair. Xseed is without a doubt the bro-est gaming company out there. This will be the first time I buy a game twice on release, SC deserves it. Yeeeeeesss! This is a good week. First the announcement of Mighty No.9 and now this? Just awesome. i finished the first chapter last year and the ending really left me wanting to see the next chapter. the game play is pretty solid too. I'll buy the first one and play it again when it comes on Steam. Really Sony's consoles have been the main ones for JRPG games. Nintendo already has Monolith Soft which made Xenoblade Chronicles, The Last Story, etc. Then on the 360 it's been tried before and JRPGs just don't sell well on the system at all. Remember all those exclusive JRPGs that were on the 360 and were later ported over? The sold better on the PS3 than on the 360. PC on the other hand is sorta been untapped when it comes to JRPGs so if anything they need it the most. I've always wanted to play this classic-style JRPG, but never really found the time to do so. Now, I'm considering it. Heard it's freaking long. And it'd be one thing if it got a crap localization, but they're getting the guys that localized Recettear? Yeah, everything about this is looking good. But the real good news?